We specialize in a wide range of bird control services to solve every bird infestation accordingly. 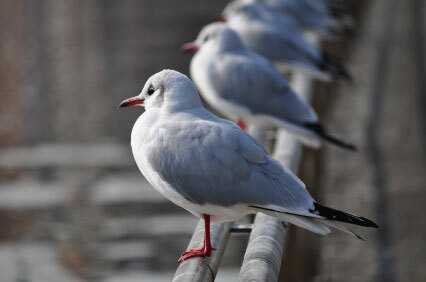 We focus on being skilled in every aspect of bird control so that we can accommodate to your specific needs. We specialize in using a variety of methods to deter birds from a building or location, including: structural bird nets, anti-roosting shock tracks, perch blockers, wire deterrent systems, aural dispersion, and hazing. We realize that bird control is not a one and done deal. That’s why we go to great lengths to determine the problem and select the right course of action before jumping to any conclusions headfirst. We take everything into consideration and leave nothing for granted to determine and select the right course of action. Give us a call today for our thorough and extensive bird control services and to request an inspection. 100% American Owned and in business for over 28 years. We provide honest service at a fair price. We specialize in a wide range of bird control services to solve every bird infestation accordingly. We focus on being skilled in every aspect of bird control so that we can accommodate to your specific needs. We specialize in using a variety of methods to deter birds from a building or location.